Discover the unknown and dangerous past of Key West on a tour of the Shpiwreck Historeum, a museum dedicated to enlightening visitors about the shipwrecking industry. Salvaging the goods from merchant vessels that cracked up on the reef, shipwreckers in the Nineteenth Century built lucrative businesses on the still developing island of Key West. Some nefarious scallywags even lured merchant ships to their doom by using strategically placed lanterns near the reef. This nefarious industry built the fortunes of quite a few families; some of the wealthiest people in the United States were residents of Key West who gained their affluence through shipwrecking. You will have the chance to journey back in time to experience Key West, Florida, in 1851 when shipwrecking was a thriving enterprise because there were plenty of merchant crafts who utilized the trade routes past the Florida Key. The Shipwreck Historeum utilizes a number of multimedia presentations to illustrate Key West history. You will see live professional actors portraying historical figures while wearing authentic period costumes. You will also witness laser-based presentations. This intriguing museum boasts a full display of artifacts. You can climb the sixty foot observation tower to enjoy a fantastic panoramic view of Old Town and the surrounding waters. In a replica shipwrecking storehouse, visitors will be treated to a historic video that recreates the atmosphere of Key West in the 1850s. This informative documentary includes interviews with the leading historians on shipwrecking and Key West as well as underwater video footage. The entire family will enjoy this interactive and educational tour. 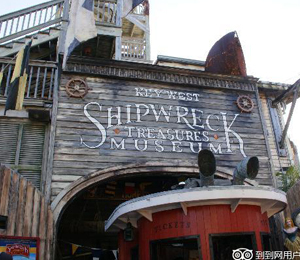 I have been to the Bahamas many times, but Shipwreck Historeum Museum is one of my favorite trips! It includes everything that everyone should do here. As a Bahamas veteran, I can say only the best about this experience!